Noam Chomsky as political gadfly, groundbreaking scholar, and intellectual guru: key issues in Chomsky's career and the sometimes contentious reception to his ideas. 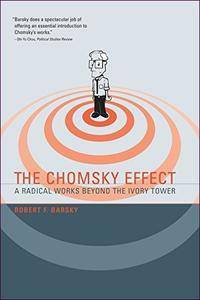 Chomsky, writes Barsky, is an inspiration and a catalyst. Not just an analyst or advocate, he encourages people to become engaged—to be “dangerous” and challenge power and privilege. 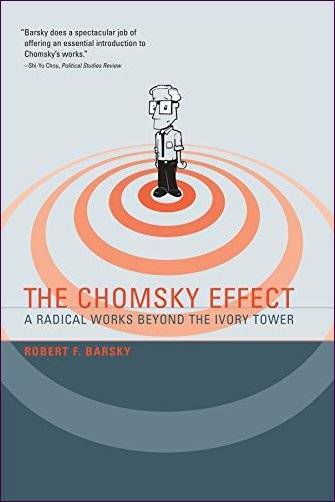 The actions and reactions of Chomsky supporters and detractors and the attending contentiousness can be thought of as “the Chomsky effect.” Barsky discusses Chomsky's work in such areas as language studies, media, education, law, and politics, and identifies Chomsky's intellectual and political precursors. He charts anti-Chomsky sentiments as expressed from various standpoints, including contemporary Zionism, mainstream politics, and scholarly communities. He discusses Chomsky's popular appeal—his unlikely status as a punk and rock hero (Eddie Vedder of Pearl Jam is one of many rock and roll Chomskyites)—and offers in-depth analyses of the controversies surrounding Chomsky's roles in the “Faurisson Affair” and the “Pol Pot Affair.” Finally, Barsky considers the role of the public intellectual in order to assess why Noam Chomsky has come to mean so much to so many—and what he may mean to generations to come.